Many people have questions about dental implants. Am I a good candidate? Is it painful? What are the costs? The following information on dental implants will help you answer some of these questions. How successful are dental implants? How much do dental implants cost? Who can receive dental implants? Are there any age limitations? Is the dental implant procedure painful? Will my insurance cover dental implants? How often will I need to get my implants checked? How can I take care of my implants? Dental implants are titanium screws that serve as anchors in the jaw bone to replace missing teeth. After a few months the jaw bone fuses to the implant, then an abutment, or “post” is screwed into the implant. . Finally, a crown, designed to look like a natural tooth, is either screwed into or cemented over as the abutment. Dental implants replace as many teeth as needed, from one tooth to all of the teeth on an arch. Unlike dentures, dental implants don't slip, eliminating the need for adhesives to stay secure. They function like normal teeth, not only when you smile, but also when you eat and exercise. Additionally, they prevent loss of bone in your jaw where you're missing teeth, and don't damage any teeth surrounding the dental implant. Overall, dental implants work 97% of the time. The knowledge and experience of your dentist play a big part in the success of your own dental implants. The cost varies depending on several things: the experience of your doctor, the number of teeth you need replaced, and the quantity and quality of your existing bone. Sometimes it is necessary to rebuild the bone either simultaneously with implant placement or several months before the implants are placed. This will be an additional cost and may lengthen the overall treatment time.This will be discussed at the consultation appointment. Almost anyone can receive dental implants, though certain medical factors prevent some individuals from receiving them. Talk with your doctor to find out if you're a good candidate for dental implants. Yes. We generally wait until young adults have completed their growth cycle. Mature adults of any age can receive dental implants. No.During the surgery, there should be NO pain whatsoever.Generally, most implant procedures can be tolerated very well just with local anesthetic.However, both oral and IV sedation may be available for the apprehensive patient. Following surgery the discomfort will be similar to that experienced after a simple tooth extraction.Pain relievers along with anti-inflammatory medication will be prescribed and should keep you comfortable after surgery. Many insurance plans provide partial coverage for dental implants. While coverage tends to be minimal, the investment may last a lifetime. Benefits will be discussed at the consultation appointment, along with interest free payment options. They should be examined and cleaned by a trained dental hygienist every 3 to 4 months. Aside from the occasional examination, proper dental hygiene goes a long way. Care for your implants the same way you would your natural teeth — by brushing and flossing twice a day. For more information on dental implants, contact our White Lake dental implant dentist or call us at 248.698.8330. Dr. James A. Bedor and his professional team remain committed to providing patients with quality care in a positive and comfortable environment. 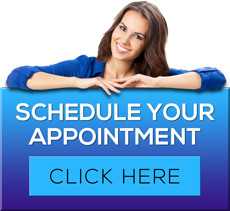 Learn about our White Lake dentists here. Copyright © 2019 James A. Bedor, DDS. All Rights Reserved. Dental Web Design, SEO and Dental Marketing by Practice Maximization.